Available in four t-shirt colours (black, hot pink, light pink, white) with customisable text (add text to the reverse at an extra cost). 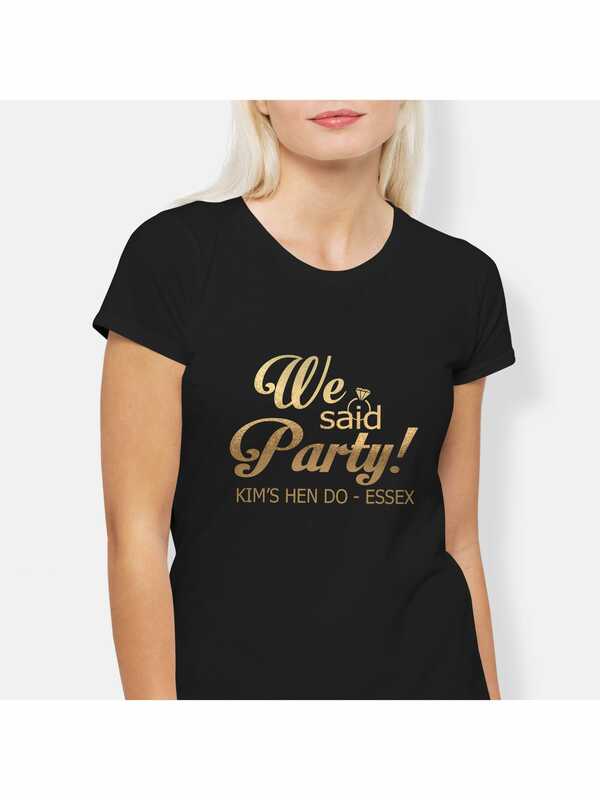 I bought 23 t-shirts for a Hen party of all shapes and sizes, I sent the size guide to the Hens to then order. The order came quickly and was correct. However I would recommend going 1 if not 2 sizes bigger than you usually would as the t-shirts are tight fitting!! Eg I am a UK14 and for it not to be tight I wore a 3XL. We had to reorder some t-shirts for bigger sizes, so if you want them not to be tight I would buy a bigger size.